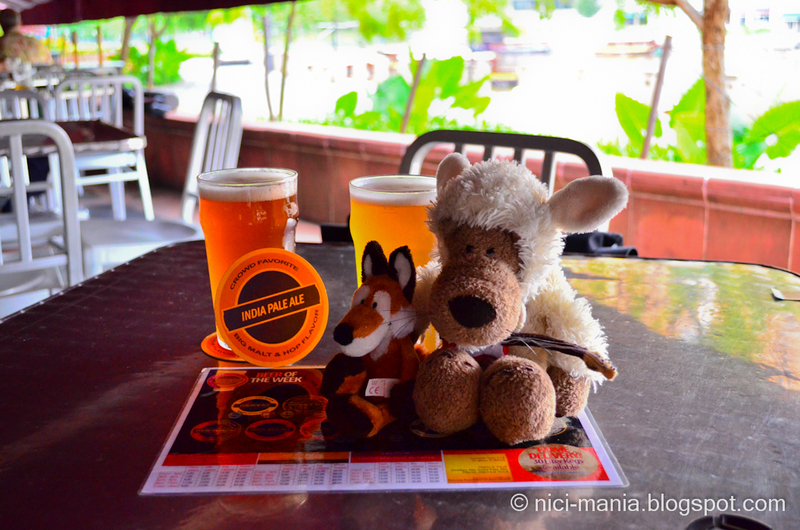 Jolly Wolf and Frederic Fox are at Brewerkz Riverside Point. 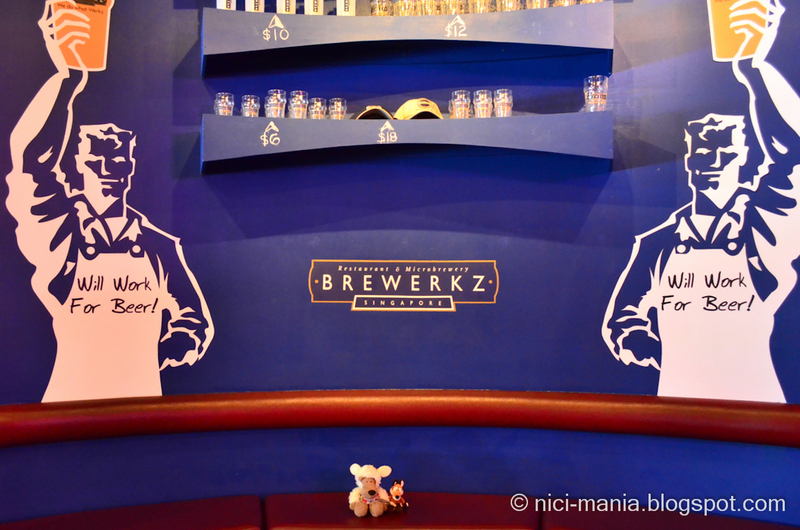 Brewerkz Singapore is an award winning microbrewery restaurant. Our previous Clarke Quay Singapore entry mentioned that we will visit Brewerkz and here we are. 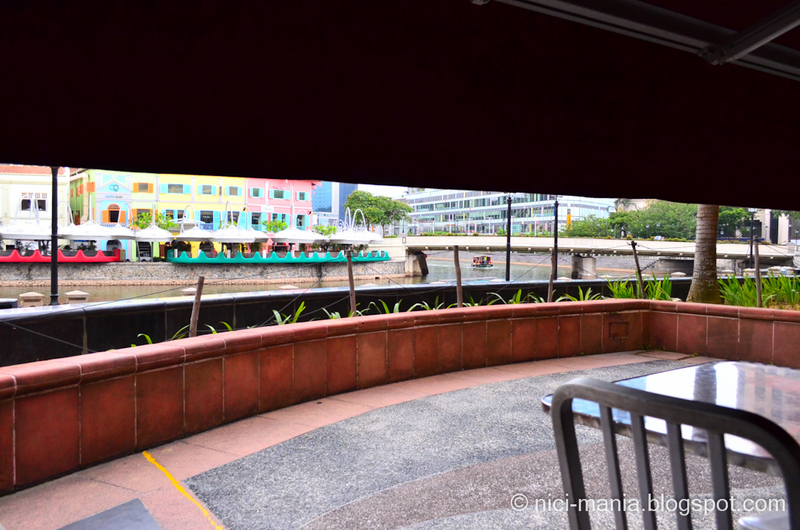 This is the view of Singapore River from Brewerkz Riverside Point sitting at the alfresco on a lazy Sunday afternoon. 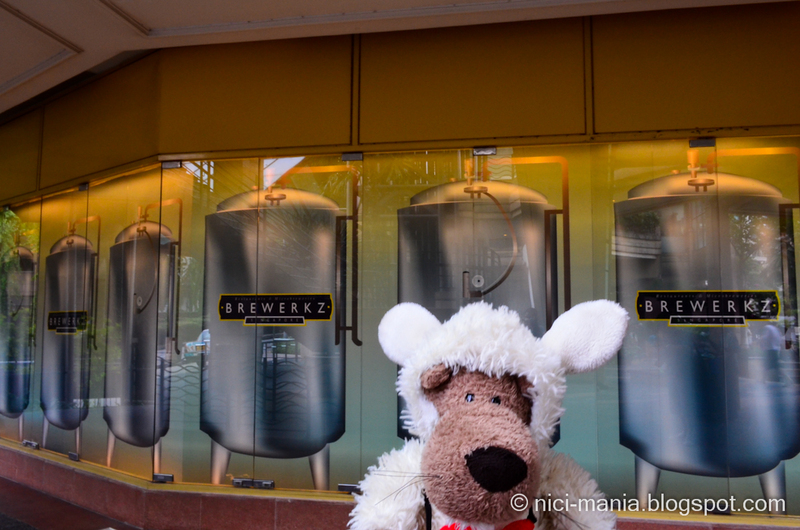 Brewerkz Singapore is a microbrewery restaurant, which means they have humongous barrels in the shop to brew their own beer. 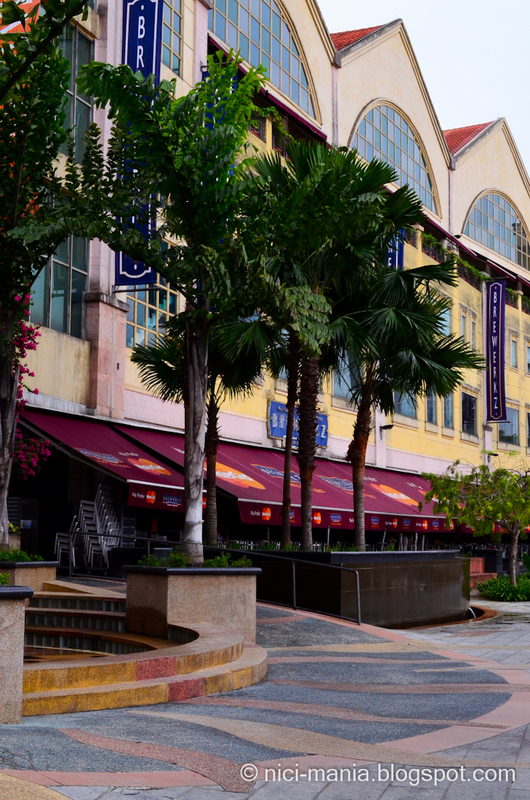 Brewerkz Singapore occupies a massive stretch of shop houses at Riverside Point, the place is huge and can occupy hundreds of people, the biggest Brewerkz outlet in Singapore. What beer do both of you wanna order? 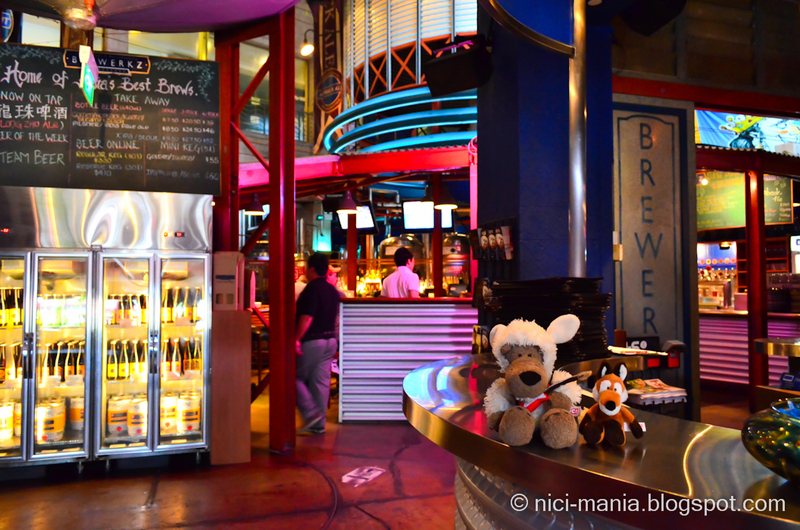 They have a wide selection of beer at Brewerkz compared to Paulaners Singapore where you only have dark beer or lager. You can always ask the waiter what is the beer of the week and get additional discount for it. 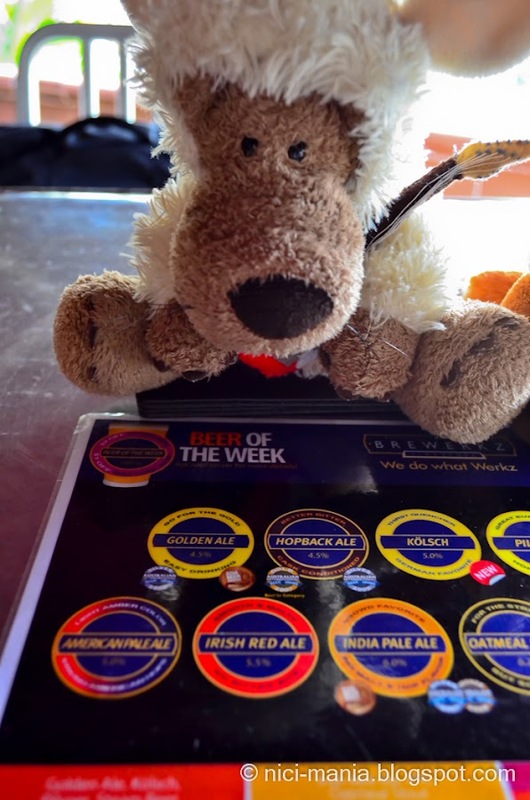 Beer of the week is steam beer today, not what we wanted, so we went on to order the great India Pale Ale and the popular Brewekz choice - Golden Ale. Our Brewerkz beer came in a minute, talk about efficient service. 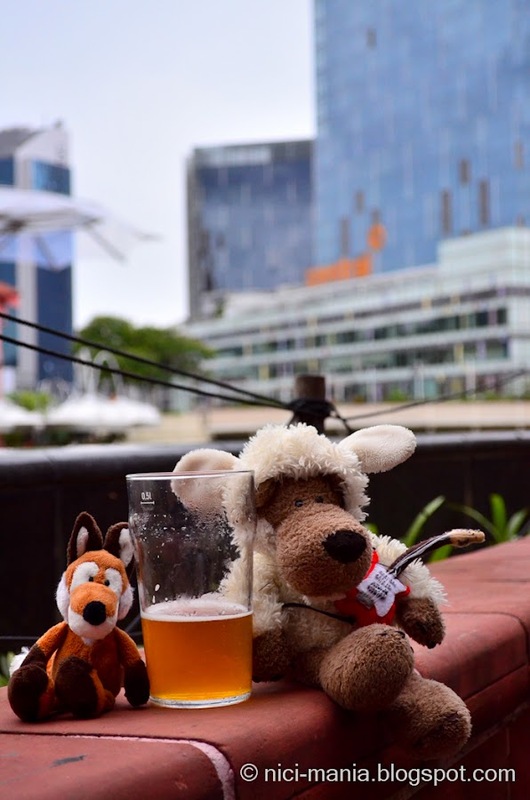 The beer at Brewerkz Riverside Point cost different at different timings, to know more you can refer to the pdf file here. 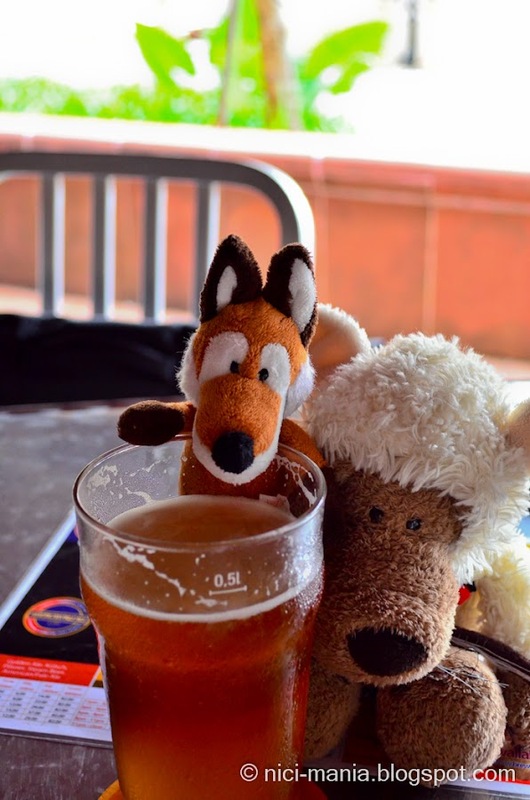 Frederic Fox quickly jumped on top of the Golden Ale beer claiming his drink. The beer on the left in a lighter color is the Golden Ale and the beer on the right is the India Pale Ale. Golden Ale is more of a sweet malt beer while India Pale Ale is a stronger bitter malt beer. Both are tasty beer and the most popular choices at Brewerkz. Jolly Wolf and Frederic Fox came at the time where beer is cheapest at Brewerkz. From 12 to 3pm everyday, a pint (500ml) of Golden Ale only cost $6 and the India Pale Ale cost $7. Nothing beats a cold refreshing beer on a Sunday afternoon sitting by the riverside of Clarke Quay. 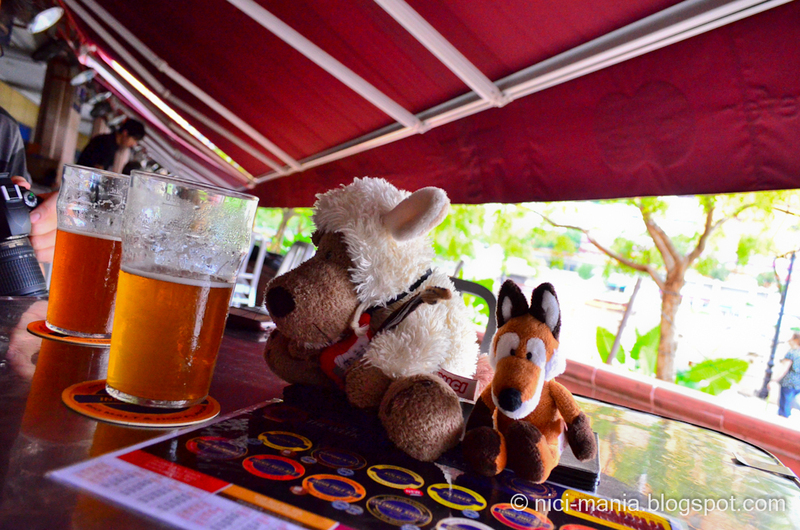 Jolly Wolf and Frederic Fox will work for beer! 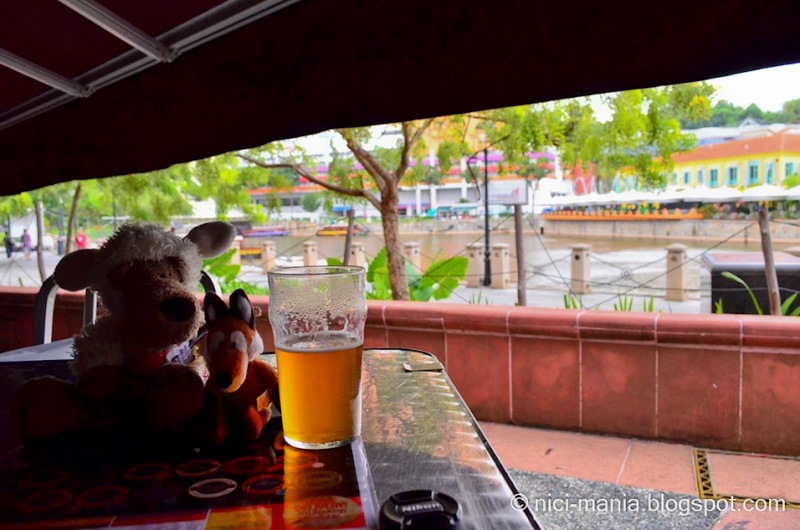 We want to work for Brewerkz Singapore and get to drink beer by the riverside everyday! 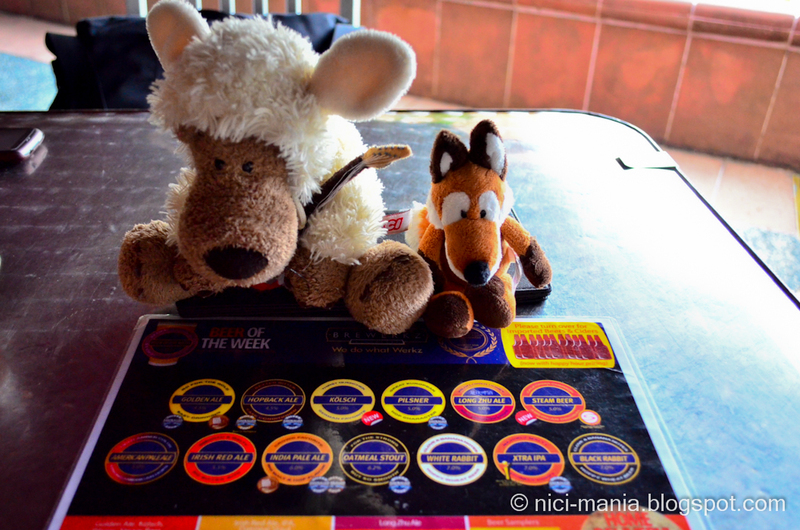 Jolly Wolf and Frederic Fox at the counter of Brewerkz Singapore. 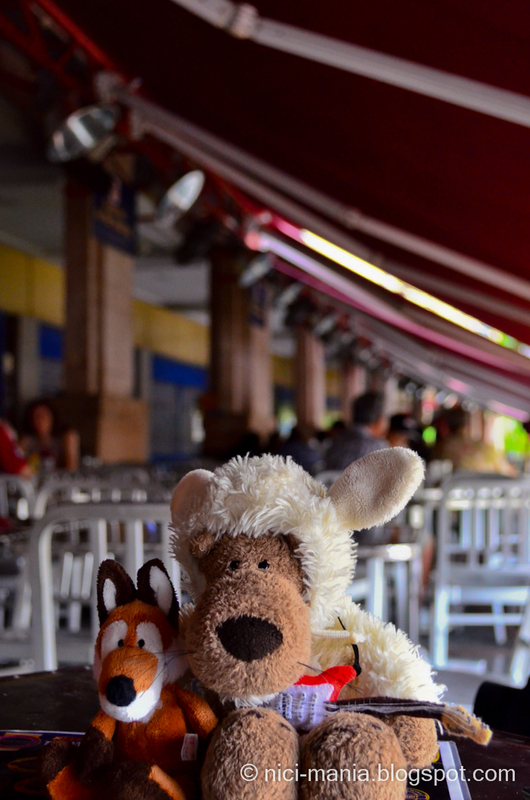 Thanks to the friendly Brewerkz staff at the counter who welcomed our nici plushies to sit around and take photographs. 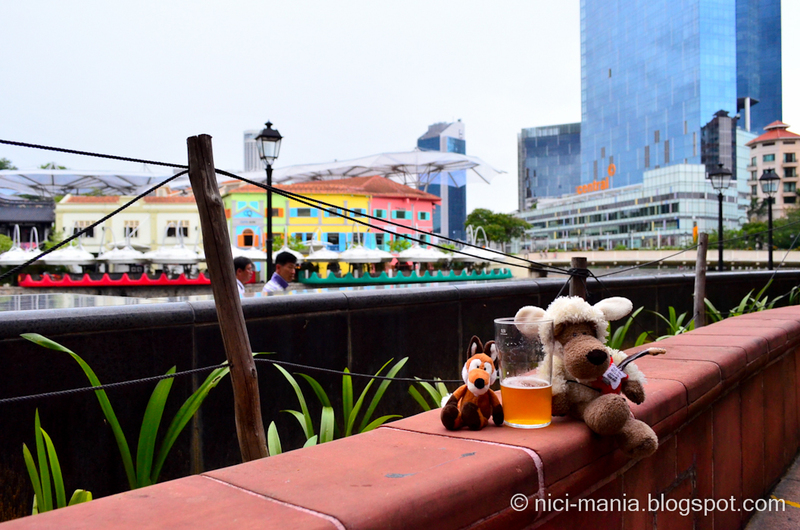 Two underage nici plushies totally enjoying their Brewerkz beer at Clarke Quay. 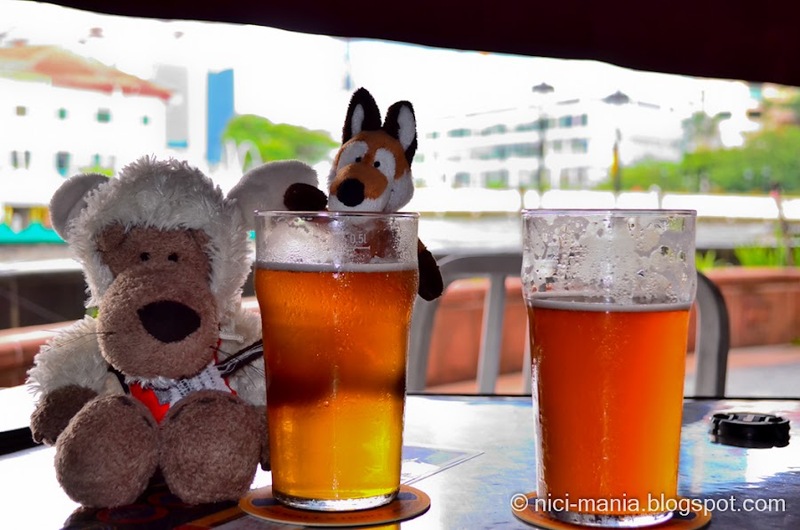 Brewerkz Singapore is definitely a great place for a good Ale at a very reasonable price (depending on your time of visit). If you are there for the first time, order the Golden Ale, it will be hard not to like for its sweet refreshing taste. It is seen that Jolly and Frederic had fun hehe. They all look delicious! But Hugo, we are shocked, SHOCKED, that you didn't take pictures of what you had to EAT with the drinks! We always love your food photos.